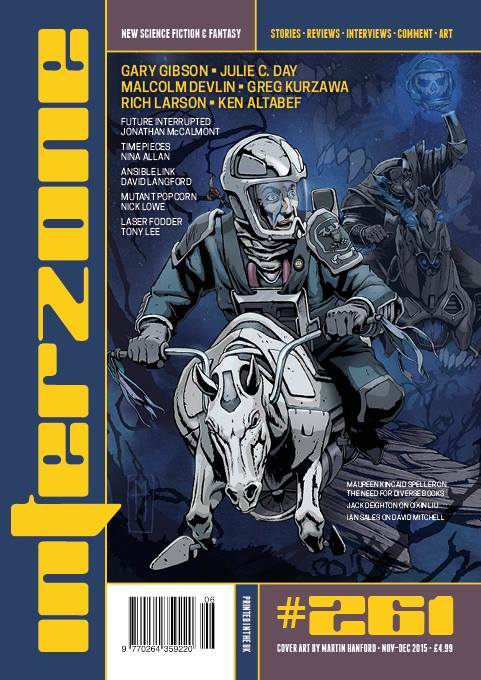 The November-December issue of Interzone, the UK's longest-running sf magazine, is just out. It contains, amongst others, my six-thousand word story Scienceville. 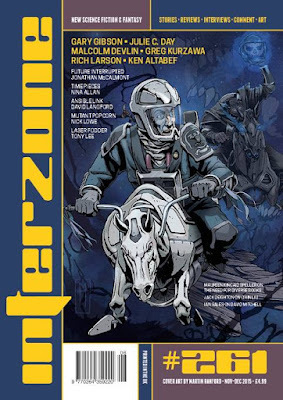 I'd recommend buying Interzone at the best of times anyway, but if you've never previously read the magazine and feel inclined to check it out, I'd be super happy if you made this particular issue your entry point. And if you like the story, let me know. For some reason, I've had a sudden spurt of creativity in the past couple of months, in that I've been writing short fiction for the first time in a long, long while - although strictly speaking, Scienceville was written in late 2014. I've since written a couple more stories which are currently doing the rounds, and have ideas and notes for a few more. Back to that new issue of Interzone: you can subscribe to the magazine direct or buy individual copies in either physical or e-format here. It's also available in Kindle format on Amazon pretty much everywhere. I personally subscribe to the magazine through Weightless Books, since that gives you access to the magazine in three different formats at once: epub, mobi and PDF. I happen to like the PDF version because Interzone is a highly visual magazine with very high-quality illustrations, and by far the best-looking genre magazine out there, and it looks pretty fantastic on my iPad Air.